T-Shirts SteamPunk There are 2 products. 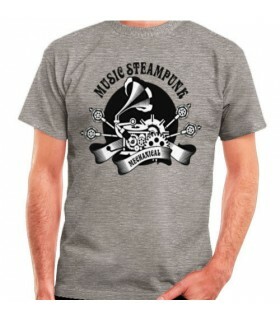 T-shirt Grey SteamPunk, short sleeve. Design original skull pirate with bandana and hat. The t-shirt is short sleeve. Made of 100% cotton. Model tubular. 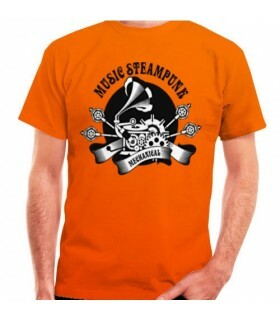 T-shirt Orange SteamPunk, short sleeve. Design original skull pirate with bandana and hat. The t-shirt is short sleeve. Made of 100% cotton. Model tubular.